Did you guys think I forgot to announce the diaper winner? I did. Heather has an adorable new baby, just a few weeks older than Olive so she’s the perfect winner! Don’t forget to head over to The Polka Dot Fox. Today we’re talking about leggings. 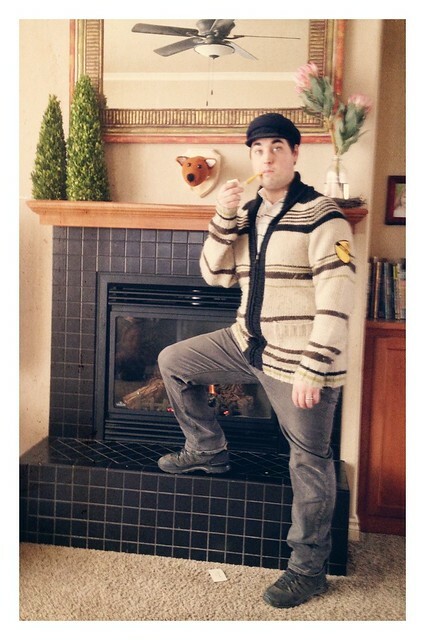 And cardigans. This entry was posted in giveaway on March 11, 2013 by ruthie1985. Know what it’s time for? A giveaway. My friend Shay is incredibly talented and creative and is always coming up with adorable crocheted gifts. When Charlotte was born, she crocheted her a set of 3 animal bibs. She crocheted Jamie a dinosaur, Alice a mermaid and Maria an octopus. She makes headbands, wine and beer cozies, rattle playsets and slippers and, basically, anything you can think up. You should see the elephant she made Cenone. Ridiculous. 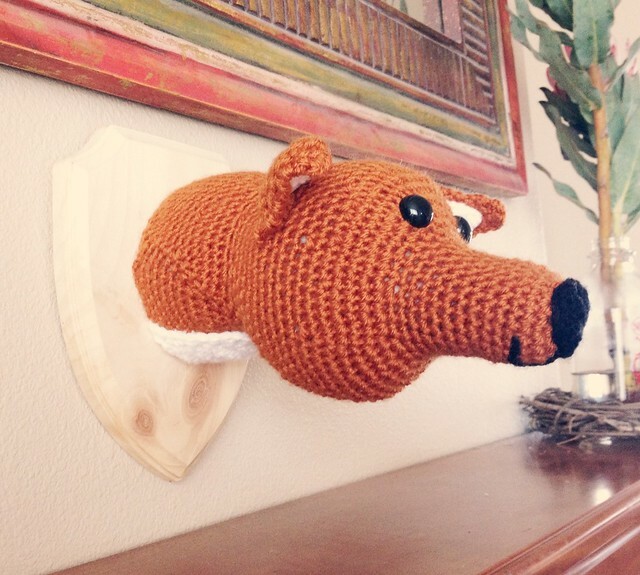 But for my blog friends, one of you is receiving this mounted fox head, shipped (if you aren’t local). I know. Crazy-generous and awesome. It’s how we roll. 3) leave a comment telling me and Shay where you’d put the fox and why OR why you’re so cool and think you should win. That’d be more fun to read. On Wednesday afternoon I will use an online number generator to choose 1 lucky winner. LUCKY is the key word. Actually, I guess WINNER is, too. LUCKY WINNER, you guys. And for the love of all things crocheted, check out her Facebook page! 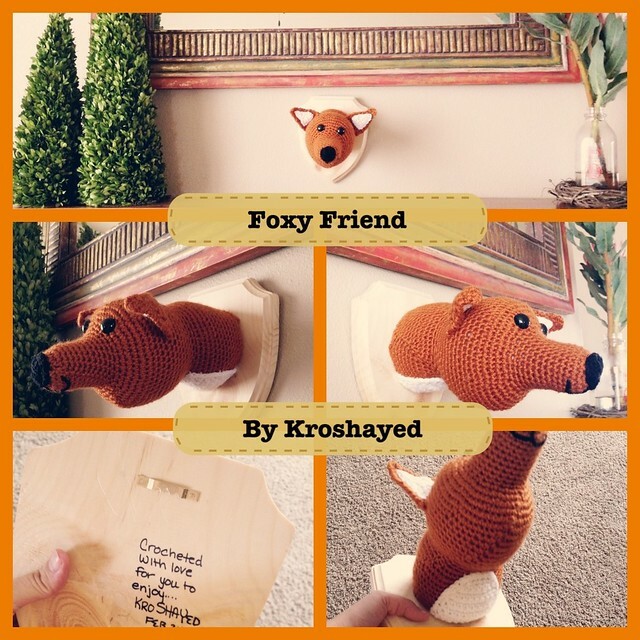 and Email shay at: kroshayed@gmail.com to order something for yourself or to ask any questions. She won’t bite. This entry was posted in giveaway on February 10, 2013 by ruthie1985.